If you aren’t sure where to get started or how to pick the right notebook, we’ve got you covered! 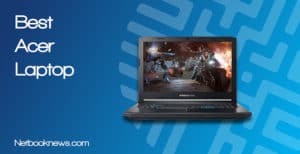 Below we’ve found five excellent picks best laptop under $600 for any user, including the gaming laptop with a dedicated GPU. The number of potential options are huge at this price range, from tiny 14 inch screens to huge 17 inch displays. 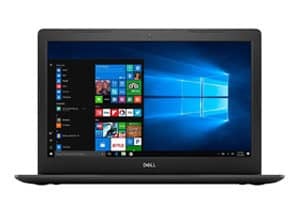 Each contender listed below will be the one of the best laptops for online college classes, gaming, home usage, or even small business tasks. Do you need high end specs but don’t care about having a touch screen? This should absolutely be your top pick for the best budget laptop for a college student! When you have some extra money, just make sure to swap out the HDD with a 256GB SSD instead. By culling out the touch screen functionality — which many users don’t need — you get high level specs here but save yourself nearly $100! Yep, this one’s almost a full Benjamin Franklin cheaper than any other model in our roundup. It’s also more than a pound lighter, so if you prefer portability over having a DVD-RW drive, this is a better way to go. While you lose the optical drive, you still get a card reader, three USB ports, and an HDMI port. Two potential downsides are frequently brought up in reviews: the keyboard isn’t backlit, and the 1TB HDD is noticeably slower than laptops with a solid state drive. That can especially be an issue when installing Windows updates. Be prepared to swap out the drive for an SSD when you’ve got some extra money to spend. Your upgrade options are fairly open on the RAM as well. This model features two memory slots and only one 8GB stick, which means upgrading to 16GB is much cheaper than normal. If you need to buy a lower cost unit now to save money for expensive college textbooks (and lot sof take out during study sessions), this is the way to go. Looking for the absolute best processor and RAM along with a touch screen all without going over $600? This should be your pick as the best laptop for small businesses to get a reliable machine. Dell’s latest Inspiron line is all about combining form and function. This particular model is seek and less heavy than other units at this price range, but still offers all the features you’d normally want. Despite being under five pounds, you still get an optical DVD-RW drive for burning discs or installing business software. Of course you don’t lose out on more convenient storage options with the card reader or USB drives. 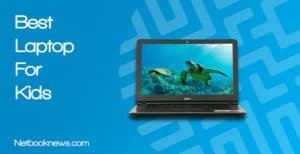 On the typing front, the Inspiron has a backlit keyboard for convenient use at night or in low-light office conditions. You also get the full 10 key design, so you don’t have to deal with a cramped keyboard style. That’s all just window dressing, though. The real goods are what’s inside the machine, and you won’t be let down there, either. The i5-8250U is one of the best processors currently available at this price, offering plenty of speed while drawing less power from the wall outlet. The only major downside is that you get a hard disk drive instead of a solid state drive. There are two ways around this issue. First off, other models are available in this same series with varying specs. The price goes up, but you can get a 256GB SSD instead if you want a faster drive. It’s also quite simple to manually upgrade components if you want to install your own SSD or extra RAM. Besides the specs, buyers often mention this model’s strong wi-fi signal. 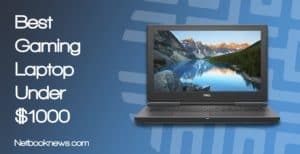 That can be a big plus for work applications, as many laptops in the lower price ranges tend to have dropped connection issues. 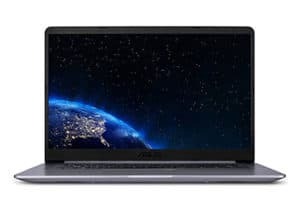 Easily our top pick for a budget gaming laptop with NVIDIA graphics at the moment, the Aspire E series features long battery life, a fast SSD, decent GPU, and a processor that will make gaming much smoother. If you want to squeeze every last ounce of graphical output from your gaming library without spending thousands, this is the computer to pick. Although there’s less overall storage space than standard 1TB HDD laptops, going with an SSD version means whisper quiet hard drive operation that’s both faster and more reliable. Note that at this price range, you aren’t going to be able to get the higher end GTX 1050 graphics card unless you buy a used or refurbished unit. At this price though, this is the best cheap laptop with NVIDIA graphics you’ll find in a new unit. This is a laptop with future upgrades in mind, as the RAM can be expanded up to 32GB so you don’t get left behind as the required specs on new games continue to increase. The DDR3 RAM used here is a bit slower than DDR4 variants, with a full rack of 32GB you won’t even notice. On the plus side, DDR3 means better battery life. Prefer a larger display size? While you lose a bit of processing power, you can find a 17” version of the Acer gaming laptop for the same price. Do you need to stay under $600 but still want a 17 inch desktop replacement with a wide screen? This budget laptop should be your top pick! Here we arrive at our massive 17 inch contender in the list of best affordable laptops. Just because laptops are portable doesn’t mean they have to be tiny! This contender is all about the display size. When you want something big to replace your desktop and still have great screen resolution, this should be on your short list. 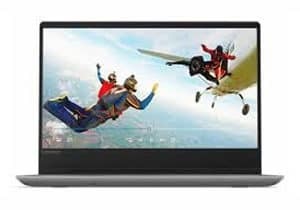 Besides the difference in screen size, most of the specs are on par with the other laptops listed above. To stay under $600, this one features a 1TB hard disk drive, which means more noise and less speed. We mention this quite a bit, but the SSD just outclasses the HDD in terms of speed. If you want top of the line, you will need to pay more by installing an SSD. This model also doesn’t include a backlit keyboard… unless you upgrade slightly above $600 and opt for the 8th gen processor, at which point backlighting comes standard. Need a lot of speed in a light, portable package? If you want the best specs at the lowest price, the IdeaPad 330 should be your top pick for the best overall laptop under $600. If you don’t need a dedicated graphics card for gaming, then this version of the IdeaPad is hands down the best model in the price range. With a solid state drive you get extremely fast boot up times, quick data retrieval, and very quiet operation. Between the high end CPU, plenty of RAM, and full HD screen, there isn’t much to complain about at all with this model. The only way to improve on this design would be to grab a touch screen 2-in-1 device, but you’ll have to go above the $600 threshold to get this level of hardware in that design. Laptops are all about portability, so make sure to pick a model that is lightweight and has a comfortable keyboard layout. Your specific needs on size, weight, and keyboard style can vary from other buyers. 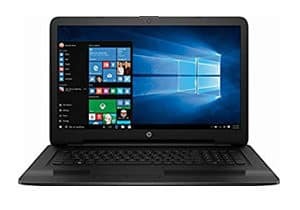 If you are lugging a computer around between multiple college classes a day and still take it back to the dorm for homework, smaller may be better. Do you often need to flip your laptop around to show off a design to co-workers? A larger screen may be a better pick for you in that instance. In general, we recommend a 13 – 15 inch screen in the 3 – 5 pound range. Weight isn’t the only deciding factor here, however. Different screen types can also mean different hardware specs. 2-in-1 flip hybrids often come with the Chrome OS instead of Windows, or they may come with the stripped down S version of Windows 10. Be sure to check what you are getting before placing your order! Rather than just directly comparing hardware specs, make sure to take into account any extra features that makes one laptop more user friendly than the others! 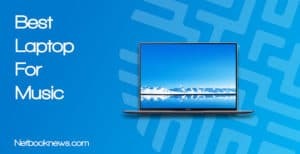 At this price range, your main differences will include features like touch screen displays, fingerprint scanners for security, and the presence of optical DVD-RW drives for burning discs. Some of those features may be critical to your usage, while others can be safely ditched to save money. Aside from the extra bells and whistles, your main consideration when buying a new laptop should be the speed and overall performance while running apps. 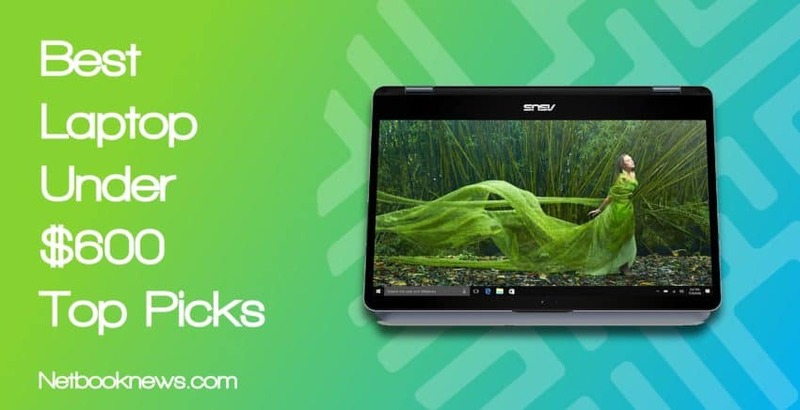 At this price range, we strongly recommend picking a laptop with a minimum of 8B of RAM and an i5 processor, preferably of 8th generation. If you try to save money by going lower than those specs, you’ll end up with a very sluggish overall experience, especially when gaming. 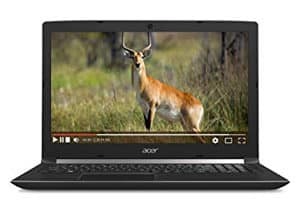 One of the most commonly mentioned criticisms in negative laptop reviews is easily a short battery life, so make sure to take that spec into account before buying a new portable computer! In most cases, we recommend picking a laptop that estimates at least 8 hours of battery life. Your actual battery life will typically be less than the estimated amount, so the higher the number, the better. This is especially true if you prefer to keep the brightness up to max and like to play games. Although it can vary depending on the specific hardware used, in general a bigger screen will also mean a shorter battery life. All other specs being equal, you want the best possible GPU you can find if you plan to run games at high settings. Most gamers prefer graphical fidelity over any other consideration, and we agree on that front. No matter the price point, we always recommend picking the most powerful graphics card possible if you want to avoid dropped frame rates. We recommend an MX 150 at the sub-$600 price range, although you can find the better GTX 1050 if you are willing to buy a refurbished machine. Because you won’t be able to get a top of the line graphics card at this price point, don’t cut corners on the CPU or RAM. 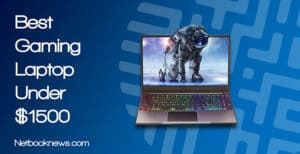 Graphics may be the main concern with a gaming laptop, but you still want fast speeds when booting up the OS, downloading game updates, and so on.